Laverne Jacobs joined Windsor’s Faculty of Law in 2007. She is a recognized administrative law scholar who teaches in the area of public law. Her research interests include the independence and impartiality of administrative actors; human rights law; disability rights; access to information and privacy; comparative administrative law; and qualitative empirical research methodology. Her work has been cited by Canadian courts, including the Supreme Court of Canada. She is a member of the Berkeley Comparative Equality & Anti-Discrimination Law Study Group and a co-editor of its e-Journal. Dr. Jacobs’ scholarship aims to bridge the gap between public law jurisprudence and public law realities through empirical inquiry. She takes an interdisciplinary approach to her research, using qualitative empirical research methods from the social sciences. She is particularly interested in ethnography and legal anthropology, and in the intersection of law, norms and informal order. Dr. Jacobs’ qualitative research on administrative justice has explored meanings of the concept of tribunal independence within Canadian access to information and privacy commissions, and has examined, through qualitative data analysis, the effectiveness of ombuds oversight for regulating freedom of information. In 2013, she published a co-edited book on comparative administrative process, which brings together global perspectives on polyjuralism in the administrative state. In 2014, she was named the Fulbright Visiting Research Chair in Canadian Studies at the University of California, Berkeley, and, while holding this Chair, conducted the first stage of a multi-year research study on disability rights and administrative law regulation. In addition to being a Fulbright scholar, Professor Jacobs has been the recipient of a number of research awards including a SSHRC Insight Development Grant, a SSHRC Canada Graduate Scholarship, and a Young Academics’ Scholarship from Cambridge University and the Chinese University of Hong Kong. She has been a Visiting Scholar at Cornell University Law School and at the Center for the Study of Law and Society at the University of California, Berkeley. She received University of Windsor Faculty Recognition Awards for Excellence in Scholarship and Research in 2010 and 2014. Outside of the University, Dr. Jacobs has served on the Board of Directors of the Income Security Advocacy Centre , the Canadian Institute for the Administration of Justice, where she has sat on its Research Committee and Administrative Tribunals Committee, and Beyond Disability of Windsor-Essex. Dr. Jacobs has held public appointments as a member of the Advisory Council to the Ontario Minister responsible for the Accessibility for Ontarians with Disabilities Act, 2005, and as a part-time member of the Human Rights Tribunal of Ontario between 2005-2010. Professor Jacobs teaches Administrative Law, and a seminar in Law, Disability & Social Change (Comparative and Transnational Perspectives) at the JD level. At the graduate level she teaches Research Methods, the Graduate Seminar and co-teaches Law Teaching in the Diverse Classroom. Dr. Jacobs is a former Editor-in-Chief of the Windsor Yearbook of Access to Justice. She is the 2018 recipient of the University of Windsor's Mary Lou Dietz Equity Leadership Award. Dr. Jacobs supervises graduate students in the areas of administrative law, law, disability and social change, access to information, government transparency, government accountability and public law. Laverne Jacobs, Aloke Chatterjee, Ruby Dhand, Freya Kodar and Margaret Hall, Law and Disability in Canada: Cases & Materials (Lexis-Nexis, forthcoming). Laverne Jacobs & Sasha Baglay, eds., The Nature of Inquisitorial Processes in Administrative Regimes: Global Perspectives (Surrey, UK: Ashgate, 2013) 416pp. 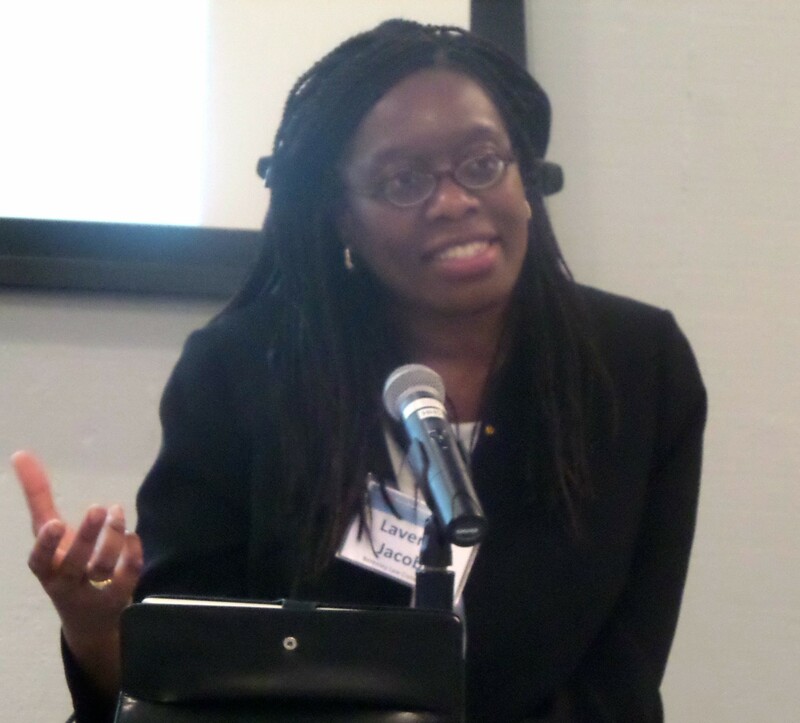 Laverne Jacobs, The Interplay Between Human Rights and Accessibility Laws: Lessons Learned and Considerations for the Planned Federal Accessibility Legislation (February, 2018). Laverne Jacobs, "The Universality of the Human Condition: Theorizing Transportation Inequality Claims by Persons with Disabilities in Canada 1976-2016" (2018) 7 Canadian Journal of Human Rights pp. 35-66. Laverne Jacobs, "The Dynamics of Independence, Impartiality, and Bias in the Canadian Administrative State​" in Administrative Law in Context, 3d edition, Colleen M. Flood & Lorne Sossin eds. (Toronto: Emond Montgomery, 2018). Laverne Jacobs, "‘Humanizing’ Disability Law: Citizen Participation in the Development of Accessibility Regulations in Canada" (2016) Revue Internationale des Gouvernements Ouverts, pp. 93-120. Laverne Jacobs, "The Accessibility for Manitobans Act: Ambitions and Achievements in Antidiscrimination and Citizen Participation," (2016) Canadian Journal of Disability Studies, Vol 5, No 4 , pp. 1-24 (with Britney DeCosta and ​Victoria Cino)​. Laverne Jacobs, "From Rawls to Habermas: Toward A Theory of Grounded Impartiality in Canadian Administrative Law" (2014) 51(2) Osgoode Hall Law Journal 543-594. Laverne Jacobs, “Evaluating Ombuds Oversight in the Canadian Access to Information Context: A Theoretical and Empirical Inquiry” in Jacobs & Baglay, eds., The Nature of Inquisitorial Processes in Administrative Regimes: Global Perspectives (Surrey, UK: Ashgate, 2013) 295-324. Laverne Jacobs, "Transnational and Comparative Administrative Law: Papers from the Sixth Administrative Law Discussion Forum, Québec City" (2010) 28(2) Windsor Yearbook of Access to Justice v-ix (with Denis Lemieux & Russell Weaver). ~Click here to view the Special Issue of the Windsor Yearbook of Access to Justice on Transnational and Comparative Administrative Law. Laverne Jacobs, “A Wavering Commitment? : Administrative Independence and Collaborative Governance in Ontario’s Adjudicative Tribunals Accountability Legislation” (2010) 28(2) Windsor Yearbook of Access to Justice 285-307. Laverne Jacobs, “Developments in Administrative Law: The 2007-2008 Term - The Impact of Dunsmuir” (2008) 43 Supreme Court Law Review (2d) 1-34.